end of the year, and had no desire to travel just to travel for a while. our Washington DC trip in October to visit family & friends. need these tips because we were giving it a rest for a while!! Well…slowly but surely, trips started to add here and there. Chase has a hotel for work and has to go anyway…so we joined! we also made a HUGE booking for the craziest trip ever. we were back and forth about whether I would come with the baby. to South Africa with the baby which I laughed at and said NEVER!!! meet my dad and be able to spend more time with my parents. before hopping back on a plane to get home to SLC for the holidays. the hard way! Here are a few tips, I’d love to hear any others! Ask about equipment they allow, what they will gate check for free, etc. Most airlines allow a free checked baby bag as well as stroller/carseat checking, but ask about this. Get good seats either with empty seats around it, or the bulkhead bassinet seats for long flights. My best flights have been when there is an empty seat next to me and they let me bring the carseat on. Game changer. Bring something to cover your carseat if you’re gate checking it, and some plastic bags to put binkies/blankets/toys in while going through security. Otherwise you’ll have to put them on the belt through security. Bring a wrap or carrier,especially if traveling alone. You’ll need both hands to go through security and get situated on the plane, so a wrap helps. Pack a really simple and accessible bag with JUST diapers, wipes, hand sanitizer and sanitizing wipes, an extra outfit, some snacks and maybe toys. You will need all of these things and they should be separate from your other items so that you’re not digging around for things when you need them quickly! 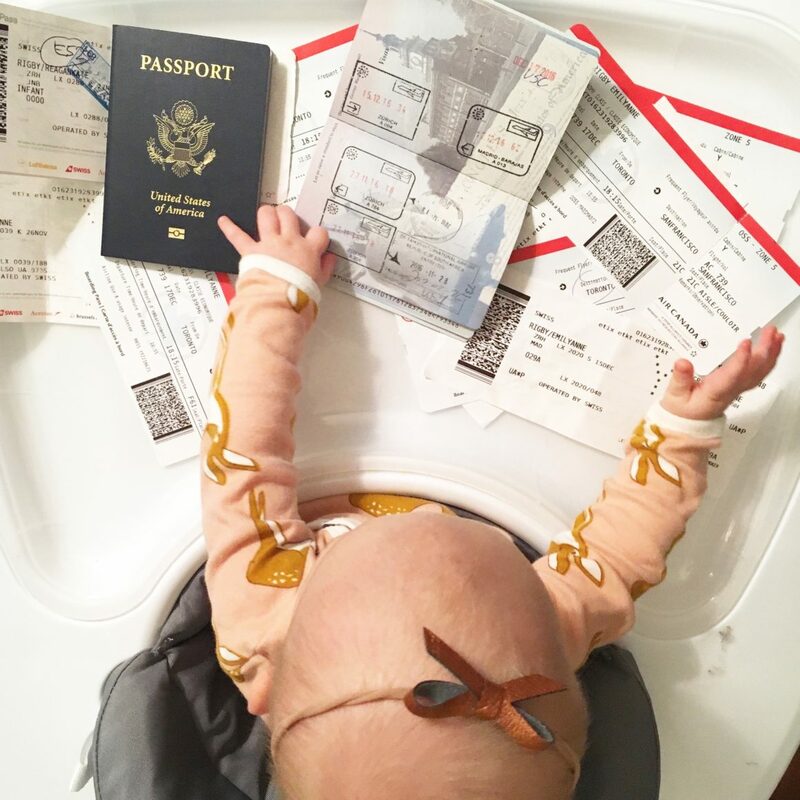 Figure out all visa/documentation requirements for babies if traveling abroad. 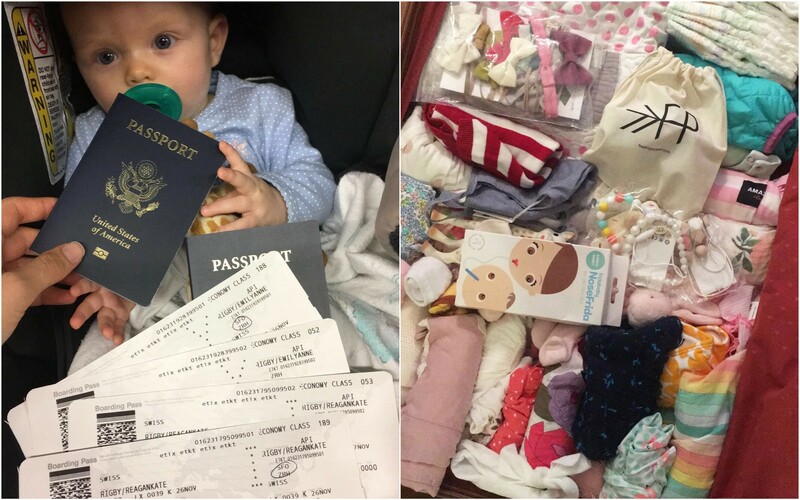 (I learned this the hard way almost getting stopped in Zurich on the way to South Africa because SA requires a baby’s original birth certificate which I had, AND a signed affidavit from the other parent if traveling alone with baby. I had a last minute hail Mary in Zurich and Chase saved the day from afar, but otherwise I would have been turned around). So double and triple check!! Board LAST. 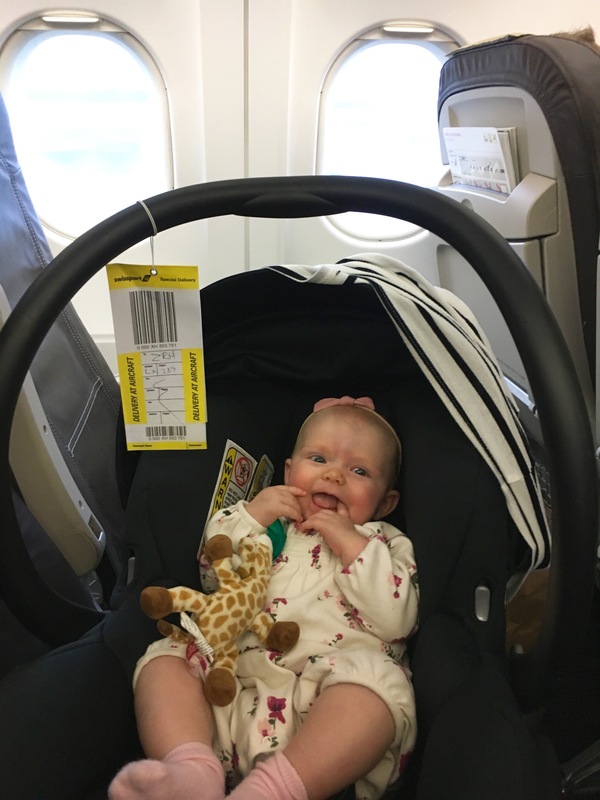 This is probably different depending on your baby’s age, but for us in the 3-6 month range, I couldn’t believe how hard it made things to add an extra 25 minutes on the plane before it even takes off! The airlines allow families with kids to board first, but I quickly learned not to use that and to board very last. Then you can just walk down, gate check your stroller/carseat if needed, and walk onto the plane closer to takeoff. The less time sitting and waiting with a restless baby, the better! This way you’re not trapped in your seat waiting while every person boards…and if there are delays, you won’t be sitting there for even longer. Wipe down everything in sight with a sanitizing wipe. I always bring a packet of these in my pocket and wipe the tray tables, arm rests, seatbelts, etc. to save us from germs! 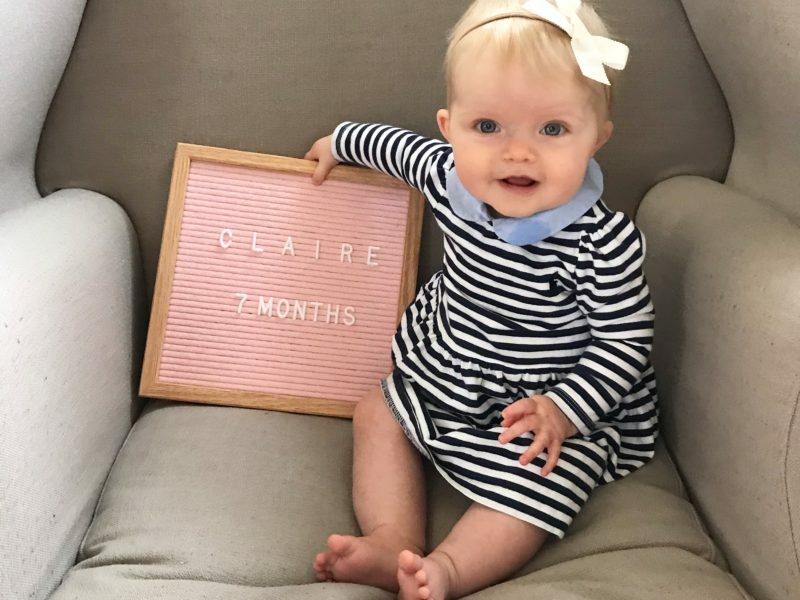 Baby hasn’t gotten sick from a flight yet, and she’s been on over 20. Try to follow as close your baby’s normal routine as possible. For us, that’s: feed → wake/play time for about an hour and a half, → nap. So depending where the flight falls in that timing, I’ve tried to help her stay close to it. 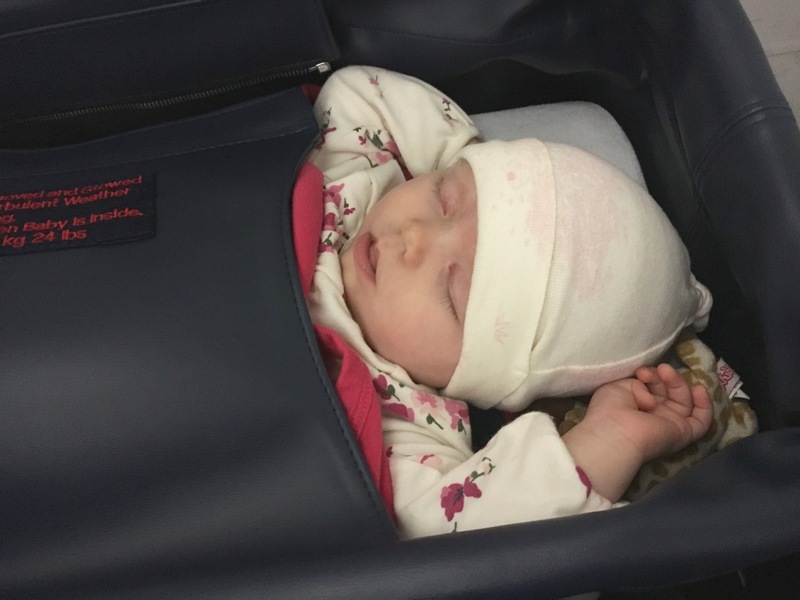 It’s nice when it happens that she wakes right before the flight, nurses during takeoff, and is awake and happy for a bit before falling asleep. Speaking of sleep, I think the airplane natural white noise helps babies sleep on flights if they can get comfortable. If you have an empty seat by you and the carseat that’s been the best for us, but on crowded flights she would sleep on our laps early on. Once we brought a full size nice pillow from home and it was such a game-changer for a long 6-hour flight to the East Coast, but it only worked because we were renting a car and had plenty of space for the pillow on our trip. Other trips I would never want to have a random pillow along…so in the case you could try to 2 airplane pillows. The pillow made her so comfy sleeping on our lap, and saved our legs from falling asleep with her sleeping on us! Once she hit about 4-5 months it’s been harder for her to fall asleep right on our lap without being distracted, so the bassinet or carseat has saved us. Bring a swaddle and binkie/lovie, all the things they normally fall asleep with…sometimes we have also used her headphones to cancel out some noise, or held a blanket over her eyes while she falls asleep because there’s a lot to distract her!! Walk the aisles. The key for a restless baby is to walk the plane, letting them see all of the faces and things going on. 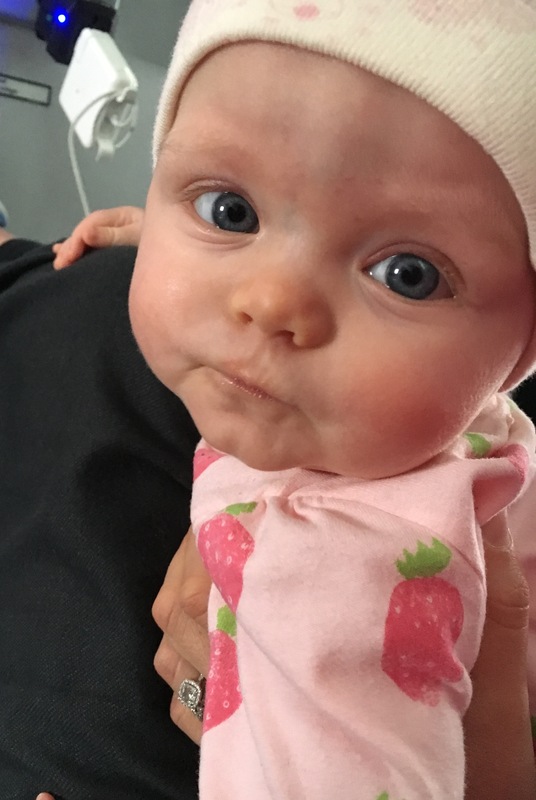 On one of our first flights to Chicago, I should have turned my Strava app on…I bet I walked a few miles back and forth on the plane because she was in a mood where if we sat she would cry, but was happy as a clam walking :) If you’re flying with your husband or someone else, you can switch off! Relax and take a deep breath. 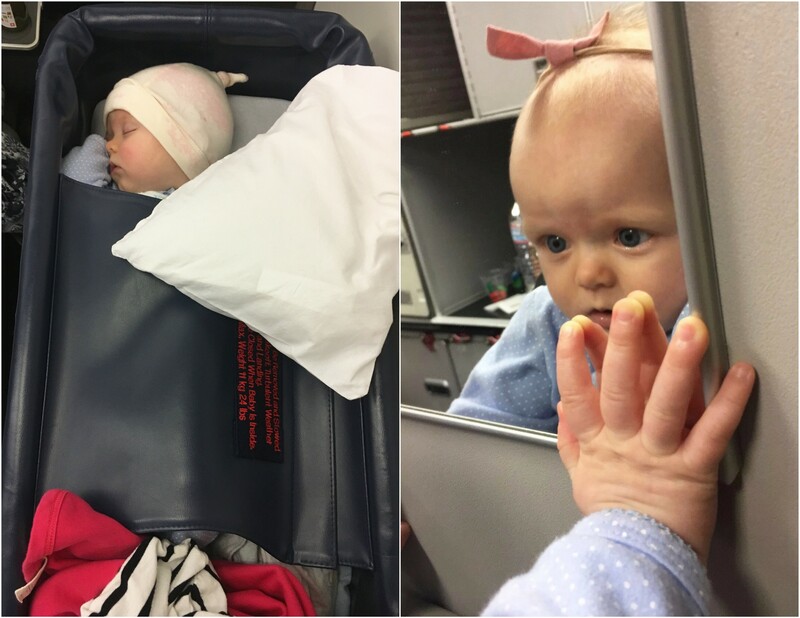 Don’t be ashamed or worried that you have a baby on the flight. Be friendly and smile at people as you board, and most will be nice and understanding…and even helpful! When they aren’t, don’t worry about what people think. Of course it’s important to be mindful of others, but you need to do what’s best for your babe and people will understand. Try to relax and do what you’d do in a normal situation. Don’t let people get to you…98% of people have been so sweet to us on flights, and the other 2% are just having a bad day. Shake it off! Snacks (for you and/or baby ;). If you’re nursing, it’s nice because you don’t have to worry about packing food. If you pump, some airlines will let you store milk in their fridges so ask! Binkie – don’t forget this, because it helps with their ears during takeoff and landing. Extra blanket. It gets so cold on some flights, so have a blanket, hat, mittens, etc. to keep baby snuggly. I’d love any and all other tips on the subject, but hope these ones help! Obviously it’s all a little different depending on the age of the baby! See some items I pack for baby here! 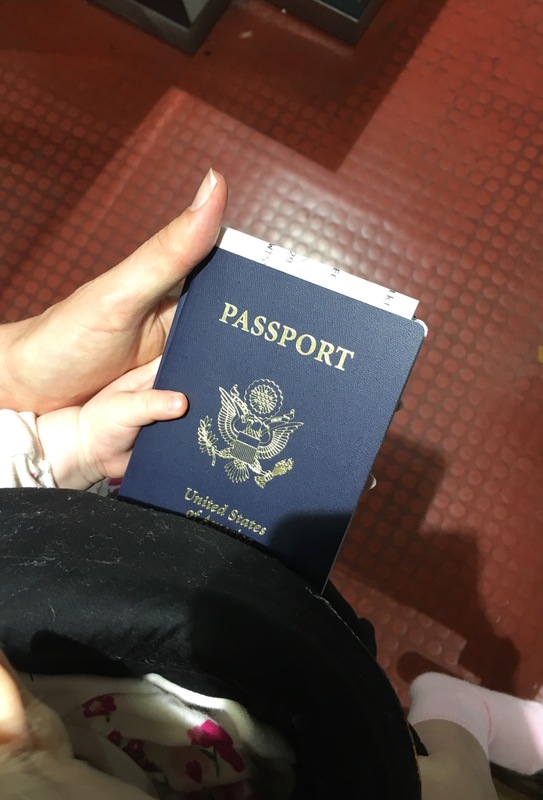 ^^ Her little hand holding the passport with me…I can’t! best carry-on luggage review to pick the best for you! take them to be with loved ones! You can do it! I love this post. It sure does sound like a crazy feat and I think we’re all impressed! My husband and I are living in Europe now, pre-babies, and although we want them some day I’ve always been weary it’d be too hard and too much to travel with them when they come. You’re inspiring! These tips are great! Which stroller are you using? Hi! I love your blog and I’ve been reading for years! I don’t usually comment, but I have an 11-month old that is now weened from breastfeeding. 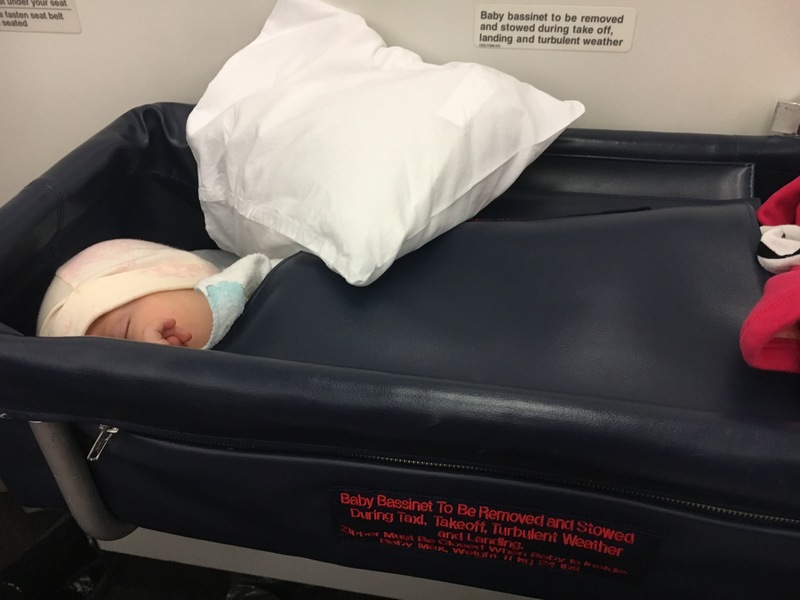 We generally travel a couple times a year, and our first flight without breastfeeding was a nightmare because our baby couldn’t pop her ears during landing. A doctor on the flight told us to put Vic’s Vapor rub on our baby’s nose and ears to help open her sinuses. We bought some for our next flight AND IT WORKS! We’ve been on about five flights after that and she’s NEVER cried during takeoff and landing. 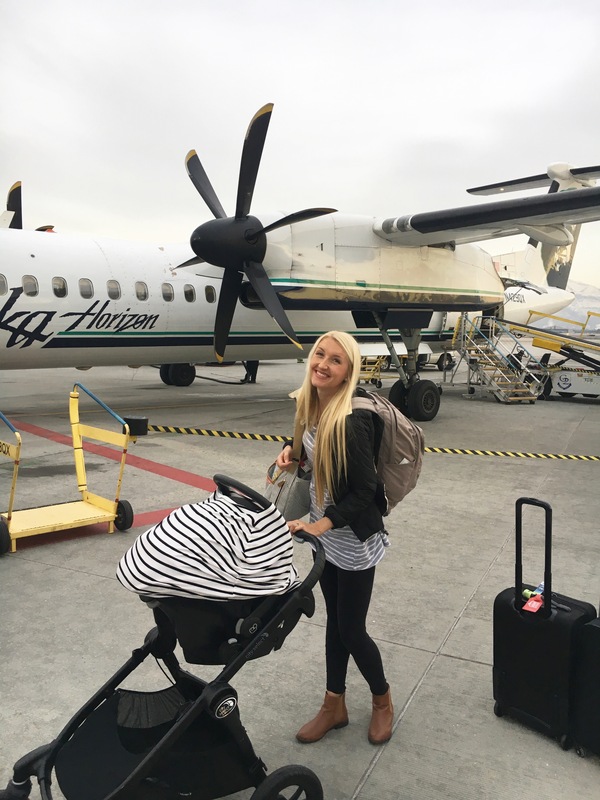 I’m trying to tell everyone who travels with a baby because it’s seriously a game changer! Do you book a separate seat for her on the long flights? 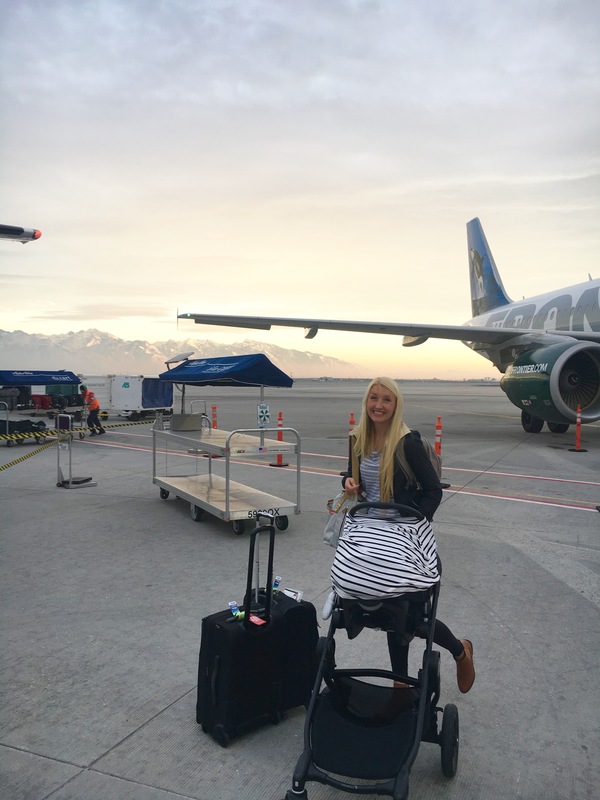 I didn’t for these, but if I had to go that far again I might consider it because having the carseat on emptier flights was a complete game-changer. It was just hard because these were expensive flights so it would have been thousands more to have her own ticket, so we didn’t since she is young enough to be a lap child. You could also try booking flights that are less likely to be full to up the chances of scoring an empty seat! It’s all hard to know! Thank you Emi! Sorry my initial question was so too the point, was holding my little one and wanted to ask as we are beginning to plan travels. This article will come in handy for sure! 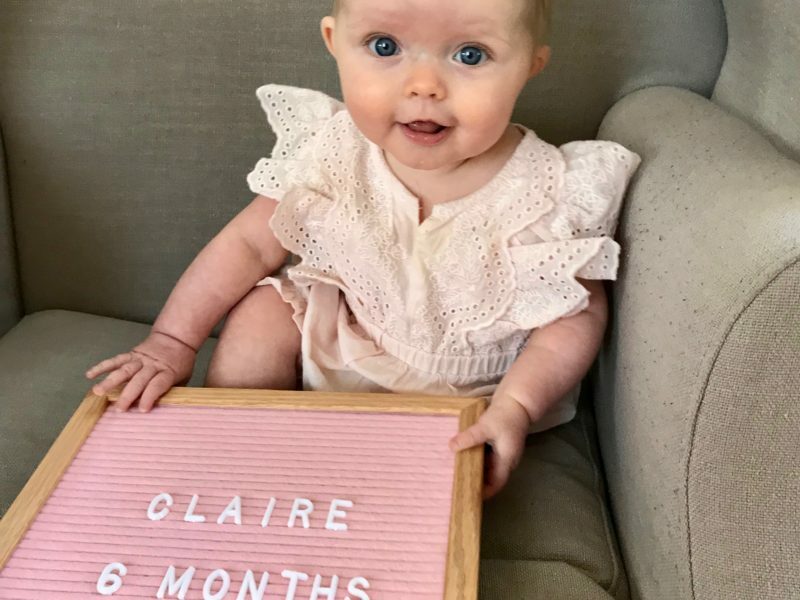 Now that your baby is older would you change anything? 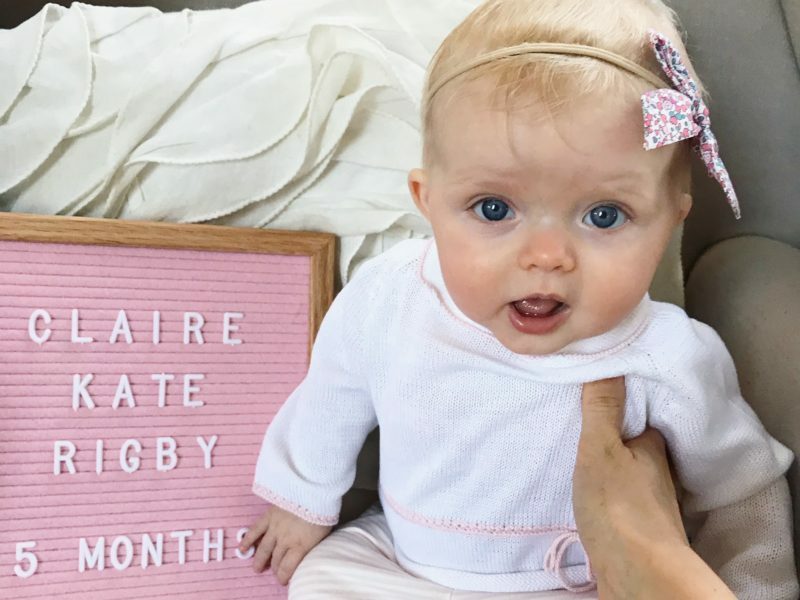 Would you buy an 18 month old their own seat for a transatlantic flight or save the money since they can still be a lap baby? Ah it’s so hard! I would probably still keep them as a lab child and cross fingers for a flight with an empty seat or just walk around lots since you do anyway! Then load up the airplane pillows on your lap for them to sleep on you so it’s comfortable for both! If you are traveling with another adult it’s definitely doable to have the lap infant. If you’re alone with baby you may end up wanting to guarantee a seat. Hi Emi, how do you handle traveling with your little one when your using an Uber or taxi wether abroad or here in the states? Do You always have access to a car seat? Planning a trip with a 13 month old and know at times we will have to use other transport where a car seat may not be available. Your thoughts? hi, good question! it is tricky- yes we’ve always brought a car seat for places that we need to use cars. it’s easier when they are younger and you use the car seat and snap right into a stroller. it becomes more of a hassle later when you need them separate, so we have a light weight travel car seat we bring. otherwise you can rent it when needed, or uber is beginning to offer uber carseat options! !